Congratulations to our Client KindNotes for their feature on JustLuxe. Sometimes everyone just needs a little pick me up…. something to make his or her day a little bit brighter. It is always nice to have a happy mindset to tackle the obstacles of the day. Whether you woke up on the wrong side of the bed or just feel unmotivated, aÂ KindNote message will make the start of someoneâ€™s day that much better! 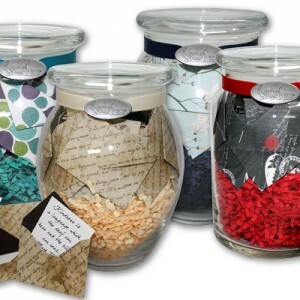 Each glass jar is filled to the brim with 31 wonderful messages, each individually wrapped in its own linen card stock envelope. The jars have messages ranging from inspirational and get well messages to love and friendship quotes. Perfect for family, friends, or just a random act of kindness to someone! You just can’t go wrong! You can also customize your KindNote to truly make it a gift from the heart.